The cogs in the Discus Music machine never seem to stop turning and already in 2017, they have a host of new releases available to buy. Felicity's Ultimatum (artwork shown above) and Sunshine! Quartet are two albums in a series that feature small groups made up of members of the Discus Music family. Each group meets, writes, rehearses and records in one single session. 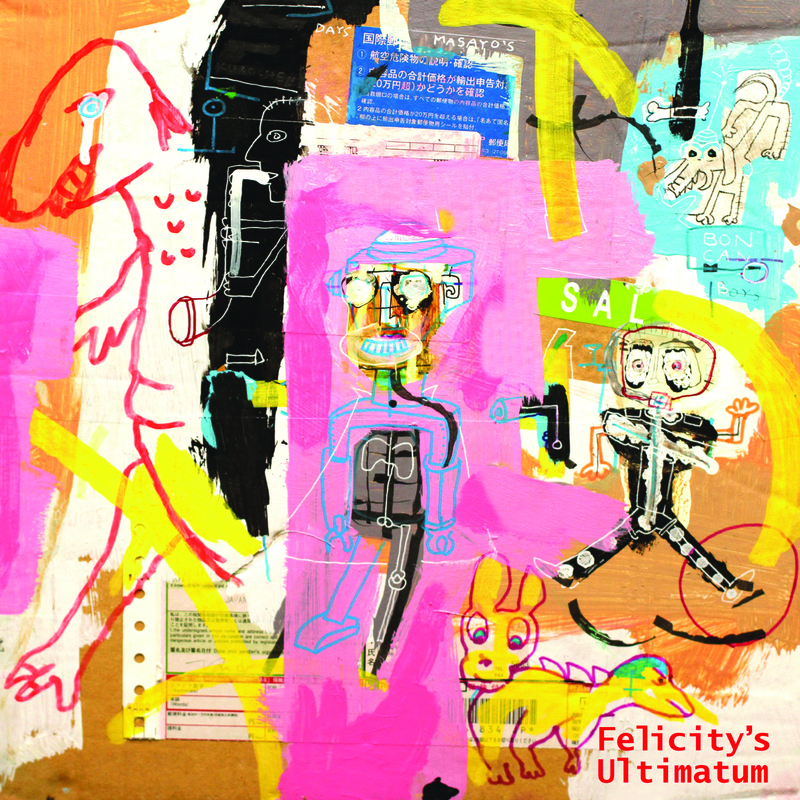 Felicity's Ultimatum features Martin Archer, Graham Clark, Stephen Grew and Johnny Hunter. Sunshine! Quartet features Martin Archer, Seth Bennett, Corey Mwamba and Peter Fairclough. All There Is is a duo album featuring Trevor Watts and Stephen Grew. The combination of their playing styles leads for a very potent and visceral experience, but also has interludes of great tenderness. The music has both a relaxed, and “on the edge” feel at the same time, as all truly improvised music has. For information on these and all other Discus Music releases, as well as to hear excerpts and buy CDs, visit the Discus Music website.